Our Chief Compliance officer Rafael Perez provides a good overview of the Fiduciary Rule below. In coming months, he’ll be writing a series of articles on legal standards related to brokers and advisers. Our industry has become a thicket of rules and regulations with compliance an increasingly complicated and costly issue for RIA firms. As an attorney and investment adviser, Rafael has a unique perspective on these issues. As for the Fiduciary Rule, I agree with Rafael’s conclusion that the rule, if nothing else, has highlighted the difference between a broker and an investment adviser and the public is better off for the debate having been engaged. However, I take a somewhat simpler view of these issues. I do not believe a broker can act as a fiduciary to an investor seeking advice for his personal investments for one simple reason – he can’t serve two masters. A broker already owes a fiduciary duty to his client. It’s just that his client is not the public that buys his wares; his client is the issuer of securities, companies, municipalities, mutual fund companies and other investment product manufacturers. And frankly, Wall Street is already failing at fulfilling this duty. Any IPO that has a large pop on the first day of trading is a failure of the brokerage underwriter to meet his fiduciary duty to his client. What is needed is more education, not a blurring of the lines between advisers and brokers. By Rafael A. Perez, Esq. Investment Advisor/Fiduciary Model: Investment Advisors owe a fiduciary duty to their clients, meaning that the interests of the client must come before the interests of the Investment Advisor.  An independent Investment Advisor, such as Alhambra Investment Partners, is held to the highest standard of care and is not promoting any particular investment product for which it may receive additional compensation (i.e. conflicts of interest are minimized). Broker/Suitability Standard Model: Broker-dealers are subject to a suitability standard meaning that a broker must make recommendations suitable to the customer even if such advice is not in the customer’s best interest and the broker has a conflict of interest. So long as an investment is “suitable,” a broker can recommend what is more profitable for the broker rather than what is in the customer’s best interest. Fiduciary Rule: The Department of Labor (DOL) Fiduciary Rule is scheduled to be phased in starting in April 2017 (implementation has been delayed by 60 days) and basically applies a fiduciary standard to all persons, Investment Advisor or Broker, providing investment advice for retirement accounts. This rule is expected to have the greatest impact on those who work on commission, such as brokers and insurance agents. On its face, the Fiduciary Rule seems like a win-win for all involved – with the exception of brokers selling overly expensive products. That retirees would benefit seems only logical due to lower costs and investment advice meant to prioritize the interests of a less sophisticated group of investors. The effect of reduced costs should not be underestimated. A 45-year-old with $100,000 in retirement savings could lose $37,000 by age 65 through a 1% increase in annual costs. Others have made the point that retirees and small savers could be harmed by the Fiduciary Rule due to fewer investment choices and higher costs for those who trade infrequently. Some savers may find themselves paying more in fees than they would have in commissions. Indeed, many large brokers have responded to the proposed Fiduciary Rule by migrating their retirement accounts from traditional brokerage accounts to fee only advisor accounts. Ostensibly, those companies are making these changes to assure compliance because the inherent conflict of acting as a broker no longer applies and the investor knows exactly what fees and costs will be charged. They are behaving as if a great sacrifice is being made to accommodate the Fiduciary Rule. This move to fee based accounts brings us into a head-on collision with perhaps the one valid criticism of the Fiduciary Rule; namely, that small retirement accounts that do not trade very often will pay more in fees and costs than they would under a traditional brokerage arrangement. Incredibly, these large brokerage companies have actually increased the revenues they receive from retirement accounts. This means that in the name of putting the investor’s interest first, these accounts have been move to a cost structure that is more onerous for the investor and puts more money into the hands of the money manager. Despite their crocodile tears, the brokerage industry seems prepared for the adoption of the rule. This begs the larger questions. Why not apply the Fiduciary Rule to all persons receiving compensation for managing other people’s money? Is the investing public aware of the real-world difference between a suitability standard and a fiduciary standard? Any such further application of the fiduciary rule and increased public awareness of the differences in these standards would clearly cause major convulsions in the broker industry as their revenue model would be severely strained. The root cause of all these issues is the distinction that Congress drew between broker-dealers, who were regulated as salespeople under the Securities Exchange Act of 1934, and investment advisers, who were regulated as advisers under the Investment Advisers Act of 1940. In theory, brokers sold you something (i.e. a salesman) while an investment advisor provided investment advice. Back then these were treated as different activities and thus regulated differently. Over time, the public perceptions of their functions have merged to the point where the public generally believes there is no real difference in the services provided by a broker and investment advisor. The public also generally assumes that both brokers and advisors would have to have your best interests in mind and would be shocked to learn that a broker does not have to have your best interest in mind when managing your money. The public is just not aware of the significance of the suitability versus fiduciary dichotomy which is presently in place. If nothing else, the Fiduciary Rule has served to highlight this outdated legal vestige thereby allowing the general public to better understand the nature and quality of the services provided by an investment professional, be it a broker or an investment advisor. This is the first in a series of articles on legal standards related to brokers, investment advisors and other investment professionals such as mutual fund promoters. We also intend to take a hard look at how these standards impact the bottom line of client investment portfolios. Irrespective of whether the Fiduciary Rule is delayed, modified or not enacted, we at Alhambra Investment Partners take our fiduciary role seriously and hope others in the investment arena will behave in a like fashion.